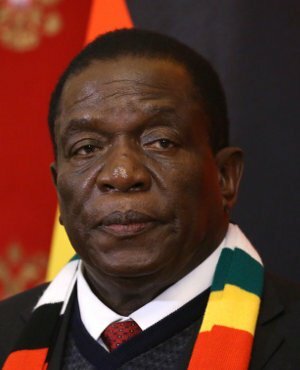 Zimbabwean president Emmerson Mnangagwa has dismissed claims by his critics and supporters that his government has sold out by agreeing to pay compensation to white former commercial farmers. But Mnangagwa said his government was simply following the country’s constitution which provides for the compensation of improvements made on the farms and not on the land. Section 72 of the Zimbabwe Constitution stipulates that where land is acquired for public purpose, no compensation is payable in respect of its acquisition, except for improvements effected on it before its acquisition. The provision is contained in Zimbabwe’s new constitution which was voted for by 95% of voters in 2013. It was crafted through a collective effort with senior opposition leaders as part of the legal leading team. Addressing the ruling party’s Youth Assembly in Harare, Mnangagwa said, “In agriculture, the land reform is irreversible and Section 72 of the Constitution is very clear in this regard. However, the same Constitution provides that no compensation is payable in respect of its acquisition, except for improvements effected on the land before its acquisition. “For a long time Government has provided through the fiscus for such payments in respect of the said compensation on improvements of the land. Government will meet its obligation as outlined in the Constitution,” he said.